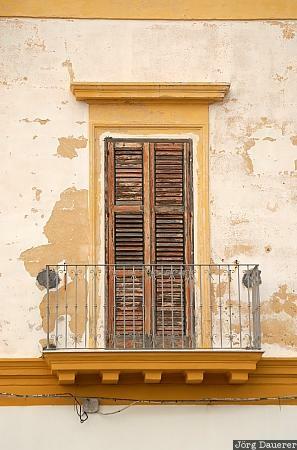 A balcony and a door on one of the ailing buildings that can be seen in the center of the fortified downtown of Gallipoli on the west coast of the Salento peninsula in the province of Lecce, Apulia (Puglia), Italy. This photo was taken in the evening of a sunny day in April of 2006. This photo was taken with a digital camera.